Before he became a cause célèbre in the West, the blind Chinese human rights lawyer Chen Guangcheng often would, trapped in his Shandong home, listen to the news and human rights reporting of Sound of Hope Radio. But now the radio waves of the fiercely independent station are being threatened by bulldozers and bureaucratic fiat, as Taiwan’s largest government-run radio station, Radio Taiwan International, moves to tear down dozens of the expensive towers that send shortwave signals into China and around the world, under what is widely seen as pressure from the Chinese Communist Party. 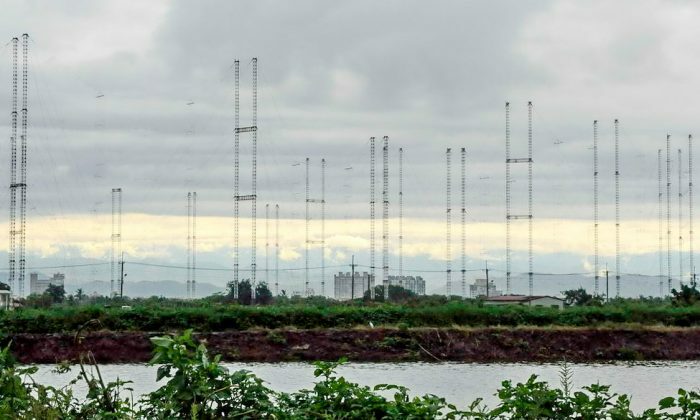 On July 1 the first shortwave broadcast tower located at Tianma, in Tainan, southern Taiwan, was ripped down, according to the Vice President of SOH, Sean Lin, who lives in Washington. His colleague, Allen Zeng, the CEO of Sound of Hope, had been trying desperately for two months to put a stop to the process, but has been met with deaf ears by Taiwanese broadcast authorities. There are a total of around 28 of the 75-meter (246 feet) high structures located at Tianma and Huwei in Taiwan. Sound of Hope has for nine years been renting them to carpet mainland China with its broadcast for four or five hours every night, becoming one of RTI’s largest customers. Now, rather than bringing free news to China’s masses, RTI is focused on a domestic Taiwanese audience, which it can serve perfectly well via the Internet. Shortwave broadcasts have little role, so the station has for some time sought to cut costs and shed the towers. Yet this shift does not explain the peculiar circumstances at present: not the suddenness of the decision to destroy the towers, which were originally simply set to be decommissioned at the end of this year; not the secretiveness and uncommunicativeness of RTI officials in carrying it out; and not their dogged unwillingness to strike any sort of deal with Sound of Hope and Radio Free Asia about taking the towers off RTI’s hands, rather than the latter having to forcibly tear them all down. In May, Sound of Hope got word that the towers were going to be taken down sometime in mid-summer. They didn’t get any official notice from RTI, though—they heard that from supporters at one of RTI’s outposts. Efforts to talk to RTI by Zeng, who after hearing about what was going on immediately travelled to Taiwan from California, have been largely fruitless. The Taiwanese government did receive a series of letters from United States Congressmen known for their robust support of freedom of speech and human rights in China, but a source close to SOH said that when asked, President Ma Ying-jeou said he had not heard of the controversy. Assuming Ma is being genuine in saying that letters to him on the matter never reached him, Zeng says this may indicate that political games are being played by officials in the administration who would stand to benefit by having done a favor for the Chinese regime. No direct evidence suggests that is what is happening, but it would fit into a well-established international pattern over the years, where the Party exerts intense pressure on outsiders and proxies to achieve its political objectives, particularly as they relate to shutting down voices the regime views as critical. If the towers are taken down and SOH is no longer able to use them, its signal will still go into China via its own equipment, but it may be more susceptible to jamming, according to Sean Lin. It is still possible that the tower teardown can be stopped, though it may take a high-level political decision in Taiwan. Only one tower in one location has so far been taken down, according to Sean Lin, and SOH supporters continue to seek support both on Capitol Hill and in Taiwan’s Legislative Yuan. After two months in limbo, New Tang Dynasty Television's contract with the largest telecommunications company in Taiwan, Chunghwa Telecom, was renewed on June 11.